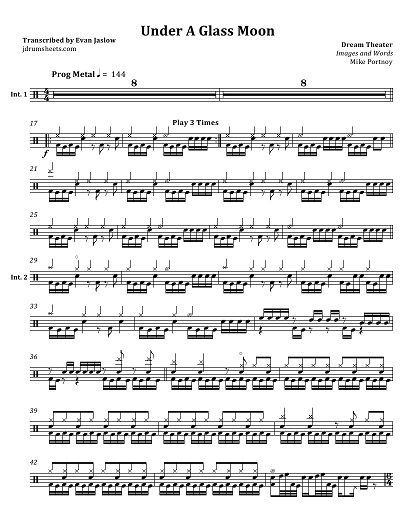 Drum tab sheet music transcription for "Under a Glass Moon" by Dream Theater, from the 1992 album Images and Words. Mike Portnoy on drums. Progressive metal. Notation key included. Difficulty 5/5.